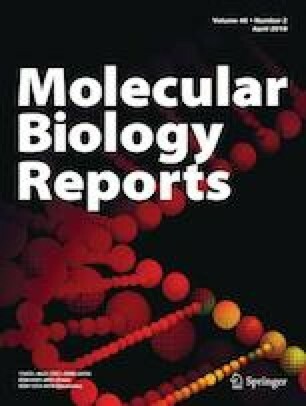 Influence of Glutathione S-transferase Mu1 (GSTM1) has long been studied in breast cancer and GSTM1 null genotype was correlated with breast cancer risk. Nuclear factor-erythroid 2-related factor-2 (NRF2) is a transcription factor that forms a complex with Kelch-like ECH-associated protein-1 (KEAP1). Recent studies have demonstrated that expression of these proteins is deregulated in several malignancies. 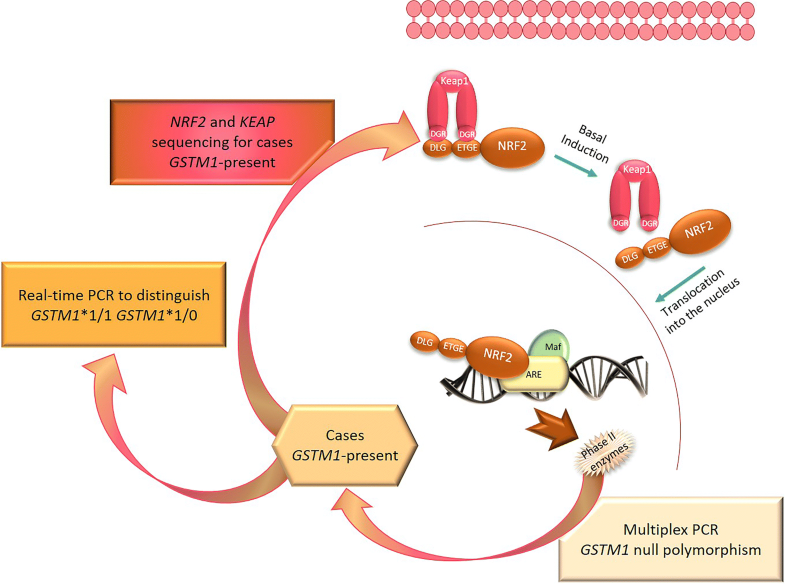 Thus, in the present study we aim to distinguish GSTM1 heterozygous from wild type genotype in breast cancer patients and evaluate the presence and clinical significance of NRF2 and KEAP1 polymorphisms, alone or in association, with breast cancer prognosis, in cases confirmed to have GSTM1-present genotype. Study population consisted in 52 patients with breast cancer. Genomic DNA was extracted, GSTM1 was genotyped through multiplex PCR and gene dose was evaluated through real-time PCR. All cases were sequenced, through Sanger sequencing, for specific regions of NRF2 and KEAP1. Genotyping and clinicopathological data were correlated and statistical analysis was performed. GSTM1 wild type was identified in 1 case and 26 cases were identified as heterozygous, these data were correlated with Human Epidermal growth factor Receptor 2 (HER2) status (p value = 0.017). We also verified that most cancers diagnosed at younger ages had the presence of KEAP1 and/or NRF2 polymorphisms. The association of GSTM1 heterozygous genotype with rs1048290 and rs35652124 seems to be associated with HER2+ (p < 0.05). Our results suggest that GSTM1 * 1/0 genotype and the cumulative presence of at least one allele mutated in KEAP1 and/or NRF2 polymorphisms might be associated with worse prognosis for breast cancer patients. We would like to thank to all the volunteers who agreed to participate in this study and to all the technical staff from Hospital Centre of Cova da Beira that kindly cooperated in the collection of the blood samples. We also want to thank the financial support of our research through the project “Validation of risk assessment model for breast cancer based on genetic polymorphisms of low penetrance to assess breast cancer risk” (ref. PTDC/DTP-PIC/4743/2014), funded by the Portuguese Foundation for Science and Technology (FCT) through the European Fund for the Regional Development (FEDER) and through the Operational Program of Competitiveness and Internationalization (ref. POCI-01-0145-FEDER-16620). This project is developed in Health Sciences Research Centre of University of Beira Interior (CICS-UBI) in collaboration with Hospital Centre of Cova da Beira (CHCB). This study was funded by the Portuguese Foundation for Science and Technology (FCT) (Grant PTDC/DTP-PIC/4743/2014), through the European Fund for the Regional Development (FEDER) and through the Operational Program of Competitiveness and Internationalization (ref. POCI-01-0145-FEDER-16620).